Jesus chose 12 disciples to follow Him while He lived on earth. 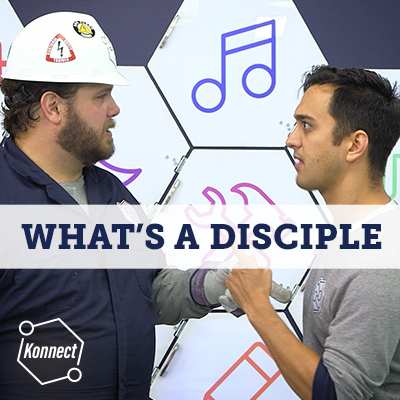 So what is a disciple, and can we still be disciples today? A disciple is a learner, but in this three-part series kids will learn that being a disciple of Jesus means much, much more. He is not only our teacher, but also our Lord. Jesus still invites us to be His disciples (even children! ), and choosing to follow Him means we can have a big impact on our world. Kids’ worship songs I Am Yours, Who You Are, My Life His Story, and Jesus Is Alive Right Now made available by Church on the Move’s children’s ministry, Kids on the Move. Kids’ worship songs One in a Million, Hey Me, and Undefeated made available by Elevation Church’s children’s ministry, eKidz. Find message videos, activity supplements, and more below.